This project was developed by Katherine Scott to be presented at the PyCon 2014. 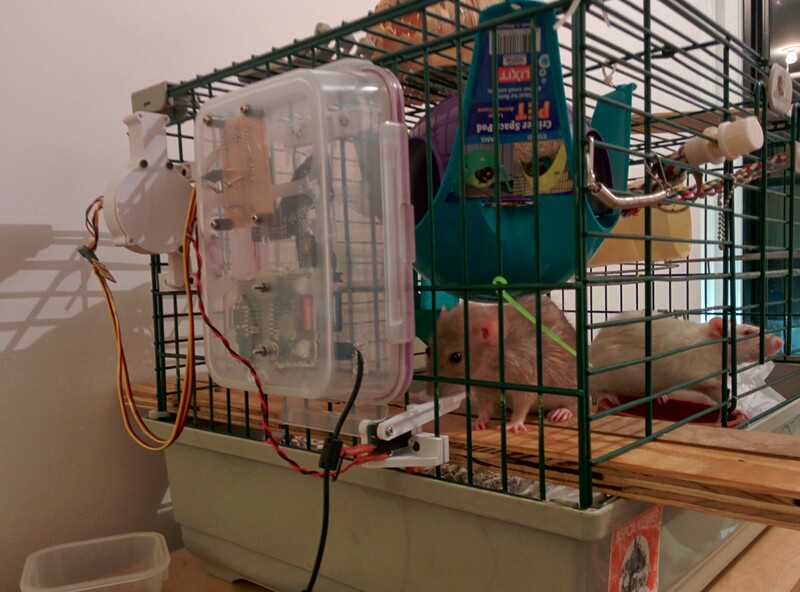 She developed a skinner box for her pet rats using a raspberry pi and some 3D printed parts. The setup contain a food dispenser, a buzzer, levers, a camera to observe the animals and it is hooked in a way that everything can be controlled over the internet!